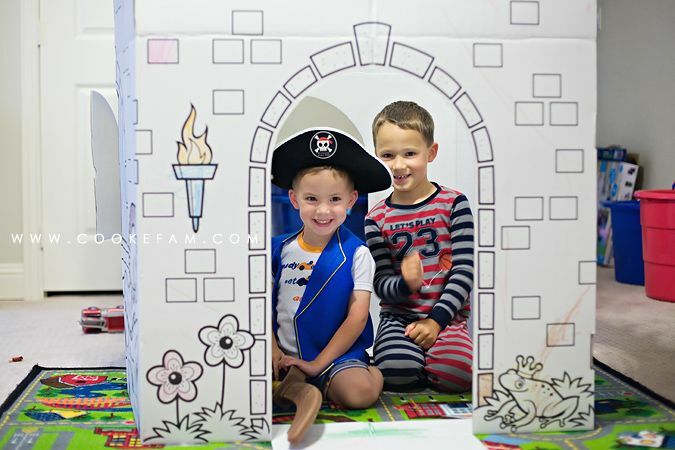 At least a year ago, a really thoughtful friend of my mom's gave us this cardboard castle for the boys. I had it tucked away for a rainy day...literally. I wanted to wait until I really needed something to keep them occupied. Then, in early June, when we'd had some rain and weren't able to play outside, I decided it was time. 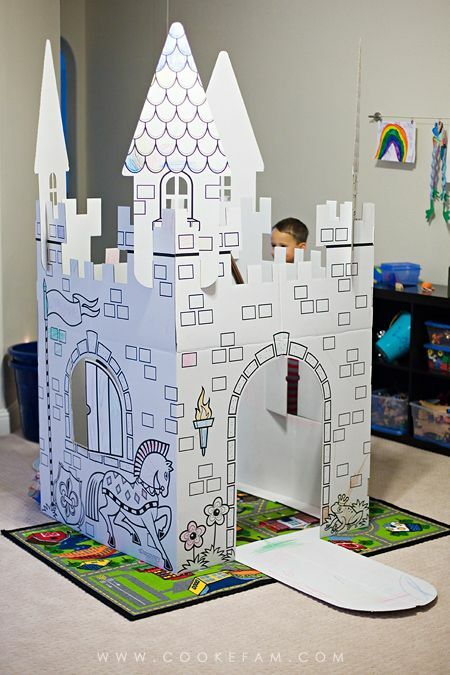 Ever since we moved into the new house in March and the boys saw the box again, they have been asking when they could color their cardboard castle. They were so excited when I took it out of the box that day. 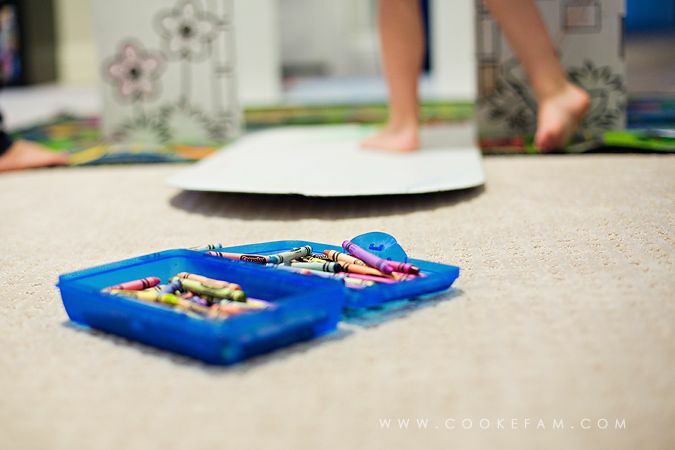 Thank goodness it only took a few minutes to assemble because they had the crayon box out and were ready to attack it. Here's a shot of some of the detail work. 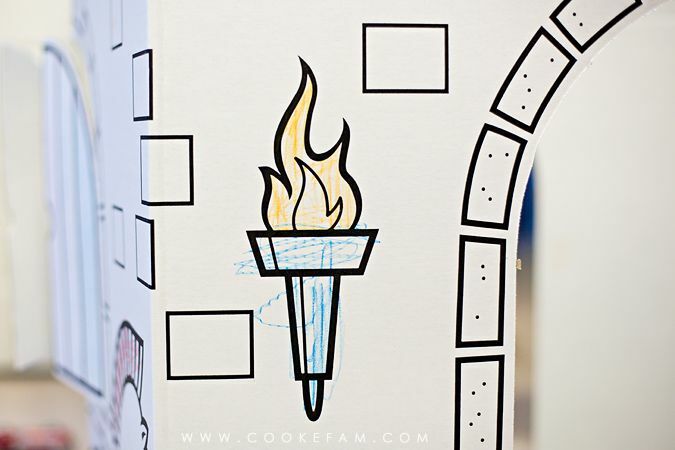 You can guess which one of them colored the flames and which one colored the holder. 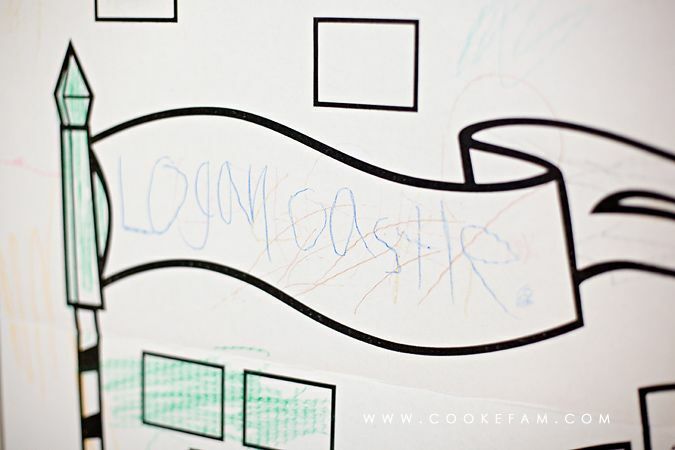 Ethan usually hates it when Logan "scribble-scrabbles," as he calls it. But miraculously, on this day, he didn't say a word about it. 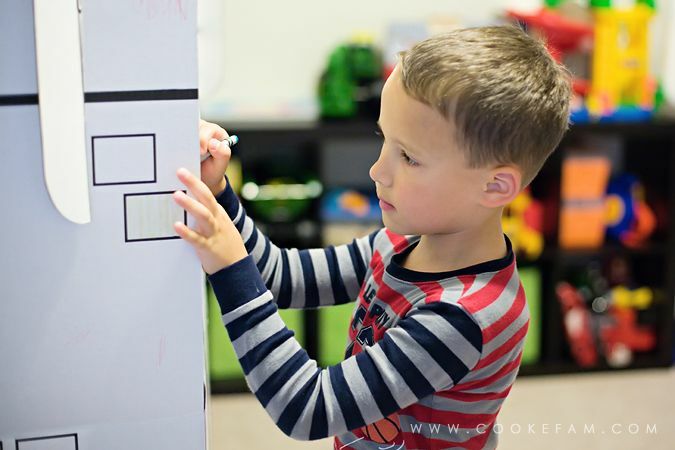 Maybe he was too busy with his own coloring plans to care. They were both into it and just the coloring part alone occupied them for a long while. Then they just wanted to play inside/with the castle. 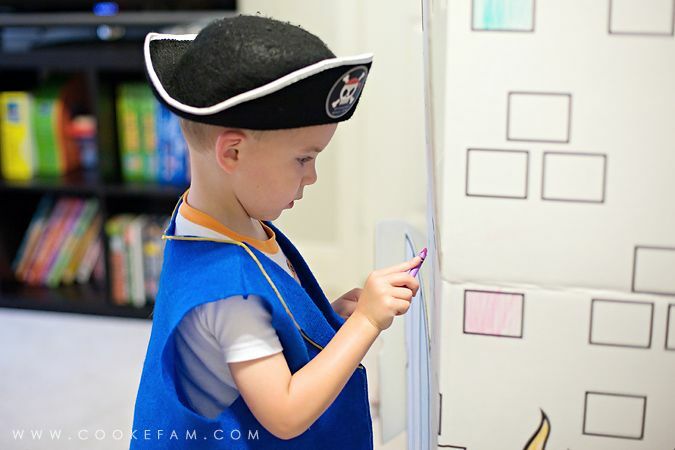 Logan was dressed as a pirate that day. 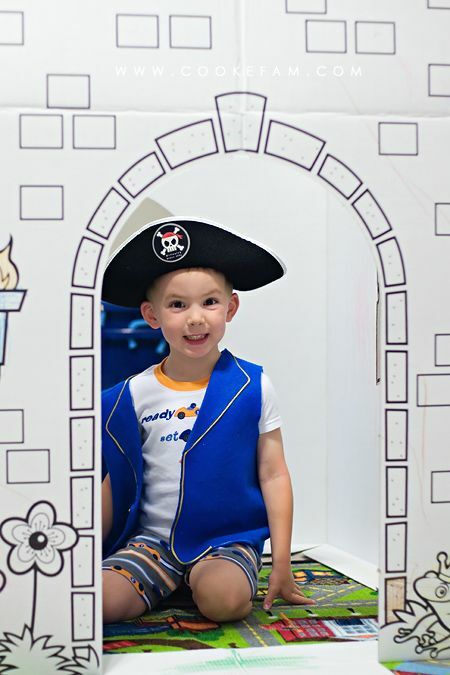 Not unusual, but we also have a knight costume that would have been more fitting. 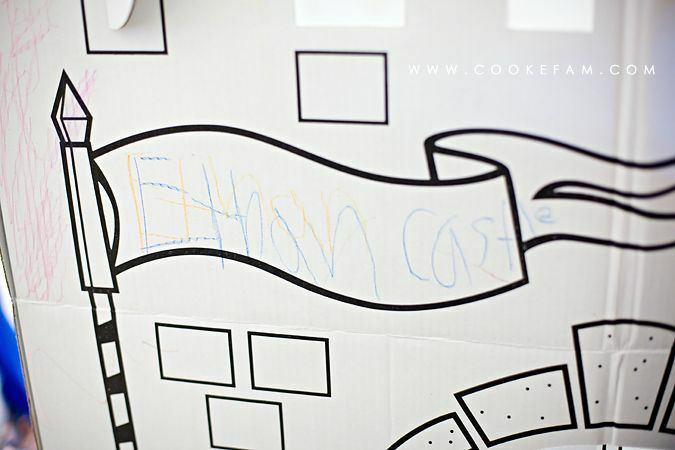 When I came upstairs to check on them later, I noticed that Ethan had written their names in the banners on each side of the castle. 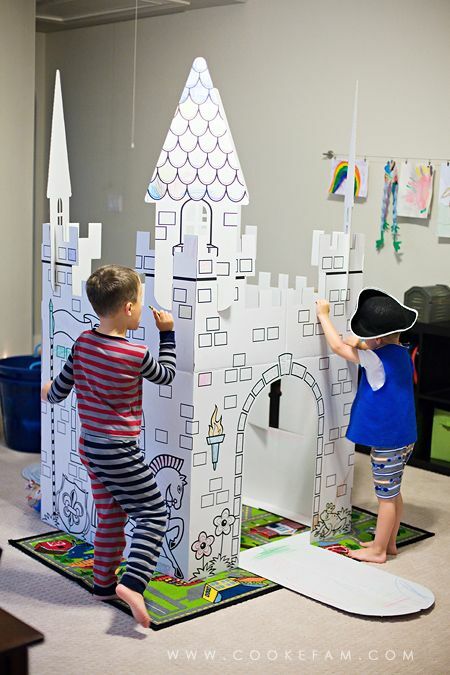 For the entire rest of the day (no joke), they played and played and played with that castle. They even colored on it some more in the days to come. We kept it up for a while for them to play with. I just recently took it down and put it away for another rainy day. Something tells me that if I wait a little while, pulling it out again could be just as fun as it was the first time. 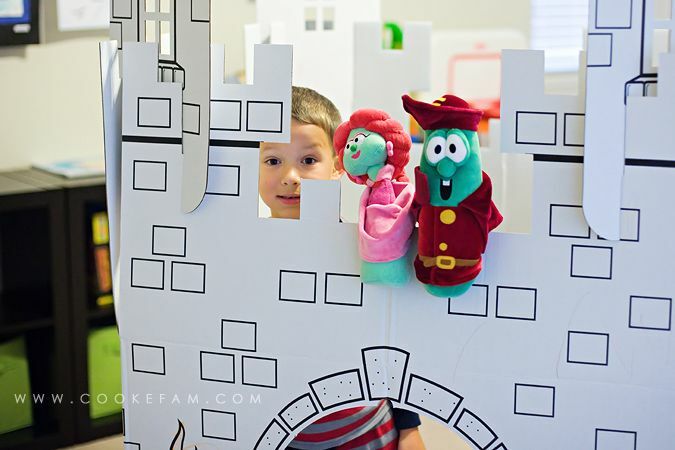 The combination of art/craft and pretend play is not only great for kids, but great for mom because it kept them occupied all day!